I'm an eastern states import trying to prove to my West Australian husband that a productive garden can look nice (i.e. formal as he complains cottage gardens are messy); and that such a garden can be created on inner-city block of less than 500 sq m where most of the land is occupied by a house/drive/garage/paved entertaining area). Ideally I want to grow enough fruit (and in due course vegetables) for a family (100kg/person/year of fruit and simular of vegetables) on such a small amount of land. If I can do it, then anyone can! I'm lucky as my garden seems to be attracting plenty of bees. I'd like to one day have a little hive so that I can benefit from their honey as well! 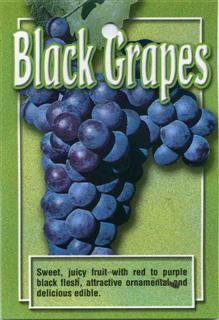 Black mulberrys are very good some say The white shahut is the best maby that instead no stains. Or paint pavers black is another option. Do you really have all this fruit in your yard of 500m2. I would love to see a picture. My yard is 588m2 mostly covered in house, driveway, solid paths and bricked area and I too want to achieve productivity without it being a feral mess. How are you doing this? Rescued (a friend didn't want the plant anymore) as a dormant pot-bound plant that had never fruited. I pruned it within an inch of its life and it seems much happier now. I'm hoping I'll get fruit next year. leaves emerge in August / September. There only appears to be a single fruit. But oh, the taste of that little fruit ... divine! As a kid I used to eat wild figs by the river, and I've eaten shop figs, but this is so much yummier. Unfortunately I often forget to water the pot in the summer ... so perhaps that is a factor. I really need to figure a better location for this plant. The fig only gets washing machine run off, but it still really needs to be planted rather than in a pot - I'm hoping to plant it in a soak-well when I build a vegetable patch (so worms can move in and out but roots are trapped). It will be used to shade summer sun near the laundry door. I am yet to figure the ideal spot - additional water has resulted in a few more fruit but it doesn't seem to be doing much. I have added worms from the worm farm. I'm going to release this guy onto the farm (a friend wants a small fig on their rural property). I cannot put him in the ground and he's not a "pretty" feature in the pot so I'd rather he had a bit more attention and I could plant somethign I use more. Very tasty, but hidden out the back so I'd rather see it go somewhere appreciated. How can I find out what type of fig this is? A decent prune in August 2011 and thinning of the fruit means that I've got about 6 fruit growing to maturity. The plant gets little attention, but seems happy enough over winter. May 2012 - this little plant just won't quit. I am seriously considering moving the mandarin and adding more sublimes to make a hedge. They are tough, attractive, and minimal maintenace. 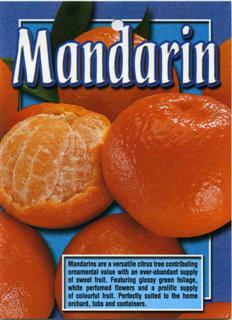 The only issue is that the fruit are small and hard to peel ... but that is fine for curries, stir fries, marmalade etc. home made sprays (oil dish-washing liquid) to supress the major leaf minor infestation - there doesn't seem to be any leaf minor anymore but I think the infection was so bad that almost all the leaves fell off. The new leaves appear healthy. Home grown mangos are the ultimate! so much flavour packed into a little fruit! Delicious! Oh too make it branch. Rather than topping it. Your story is so encouraging, this is exactly what I want to do - buy 2 different Mango trees and place them in 51cm Pots. The Palmer Mano and this one sound fine! 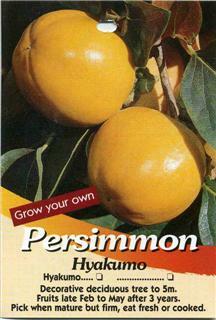 As of June 2011 the plant has put on a spurt and added a further 2 branches. It doesn't seem to want to get any taller - but it does seem healthy! By the end of 2011 it had several flowers and set fruit. In Jan 2012 I thinned this to 3 fruit only. It is still putting on new growth. OMG ... home grown mangos are something else entirely. 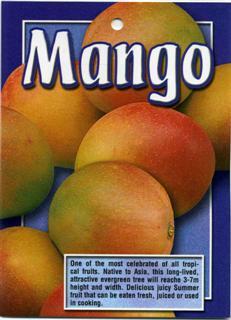 Anyone that can should grow a mango. These were little fruit 12cm long ... but delicious (and the pips were also small). So yummy. This plant is supposed to be the ultimate in toughness; requiring about 2000 'heat hours', which it should obtain against a west facing wall in a pot in full Perth sun. I was surprised as to how similar to dates the fruit tasted - quite acceptable! For something so tough it is surprisingly attractive and graceful. It is already fruiting. I've planted a few strawberries in the pot to act as a living mulch. Most of the strawberries have been fried by the sun, but they are recovering in autumn. The jujube lost its leaves on its own accord in May. By Jan 2012 there are a few fruit - but not as many as last year. I'm not sure if it is ideally suited to a pot. The plant has grown about 40cm and seems unfazed by the hottest of days. Persimmon are such pretty plants, and as they can drop all their leaves in the mild Perth winters they are a great tree to screen windows in the summer and let light in in the winter. The Tanenashi is astringent, and should grow to about 4 meters. It is planted in Perth sand mixed with sheep poo, coffee, and kitty litter. There is the occasional worm so hopefully the sand can hold enough nutrients for the plant. As of June the plant still has all its leaves. What is the go with this ultra-mild winter?! April 2012 - wow ... the fruit has a definite apricot taste to it, very nice. I think I prefer fresh apricots (for tartness, this fruit was quite sweet) but it would make a fantastic ingredient for cooking or drying. A cutting from a tree growing wild on an undeveloped block I hope to nurture this plant and put it in the naturestrip. The fruit are delicious (although nothing beats the Black English) and the parent plant has survived years of neglect and no water in unimproved soil (at least 10 metres above the water table) so the cutting should be tough! I'm planning on espilaring it against the fence (in a pot) and keeping a close eye on the berries to prevent paver stains. Maybe my husband won't notice! From a 10cm cutting in November 2010 it is now 1m high in October 2011 and covered in fruit. Clearly a tough weed (that will never be released from a pot!) By Jan 2012 it has its second crop of fruit (I've not seen such a thing before) and is 1.5m high. This plant is a weed!! I intend to plant it out on the verge come autumn as it cannot stay in the pot (it will stain pavers and grows too quickly). May 2012 - the plant has put on MORE berries ... and been relocated to the verge. It was pruned heavily to assist with shape and root growth (as vandals killed the mango previously on the verge - although there are thorny roses planted around the mulberry to discourage this!). The prunings have been turned into about 20 cuttings. Plant is recovering well and hopefully will soon realised that cropping from spring to winter is a bit keen!! BJ you've got to see and try my black mulberry. They are massive and taste delicius esp when cooked. I also juiced them this year and it was totally yum! flowers and leaves emerged in July - I've left the fruit on as the tree is growing rapidly ... it is a prolific cropper and at 1.5m and 12 months in the ground I'd estimate there are over 80 fruit per plant after thinning! Unfortunately the fruit-fly struck so I had to collect all the fruit and pack it tightly into a bucket and 'drown' the fruit fly for a month before the muck was composted (fruit fly can be drowned when the fruit is underwater for over a week and the top of the water covered with a layer of vegetable oil to stop oxygen getting in). These guys really struggled with the 2011 summer and lost most of their leaves. I'm hoping that autumn comes soon so they can recover. Jan 2012 - once again fruit fly were about earlier than expected so the entire crop (sans one bag) was picked and treated to prevent re-infection. 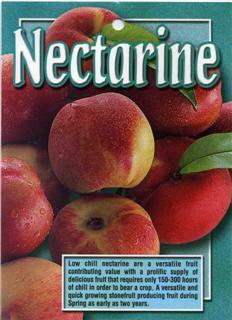 Delicious crop ... but nectarines are not suited to Perth as they are too susceptiable to fruit fly. The destruction methods and spraying has prevented fruit fly being observed anywhere else - but I fear untended trees in the district are breeding zones for this pest. It is quite vigerous although this has been curtailed with storms removing branches. They have really kicked into gear for 'spring' (July) and is blossoming and budding like a champ. No signs of infection - but a few leaves indicate that the risk is still very much there. It appears that leaf curl can occur after leaves emerge. I'll definitely spray next year. Flowers and leaves emerged in late July 2010. Alas fruit-fly struck and much of the fruit was lost. Next year I'm getting nasty and using chemicals! These guys really struggled with the Perth summer in 2011. They seem to be getting hit by every pest and disease possible as they are clearly weakened. Leaves are pale in colour despite addition of water and balanced fertiliser. Leaves were removed in June 2011 to encourage dormancy. The plants clearly need a break. Additional feed and TLC will be required next summer. Jan 2012 - Most of the fruitletts were removed to reduce the stress on the plant for this summer. Plants haven't had much disease - but clearly are not enjoying being planted near the driveway. At over 3 m high now they are too large to transplant and have been mulched with pine bark to assist - but they are not ideal for the climate. Tasty fruit that was allowed to remain. I've heard good things about the fruit, and I'm hoping that the plant will thrive in its current location and allow winter sun to reach the house, and block out the worst of the summer sun. Within weeks of planting it is putting on new growth - so I'm hoping that this is a good sign about the soil improvements and location. Unfortunately as of Jan 2011 many of the leaves have been burnt by the WA sun (the tap root just needs to get a bit deeper). Additional water is helping the plant put on new growth. May 2012 - leaves have come off on their own. No autumn colour, I hope that it isn't crook. I'm hoping that the fruit of this tree will be OK, and that in its current location it will allow the winter sun to reach the house, and block out the summer sun. The garden is quite skinny (about 50cm) but I'm hoping that with the soil improvements and hand watering it will be sufficient. Many of the leaves are getting burnt by WA sun. I'm hoping that as all the plants get bigger they will protect each other. Remaining leaves removed June 2011. The plant appears healthy and strong despite the previous brutal summer. May 2012 - I'm a little worried about this plant. The leaves have all fallen off now, and the edges went brown (rather than the leaves changing colour). I'm concerned it might be sick. I have tried this once as well and had the same problem as yours. The leaves get burnt in summer and the plant does not thrive. It ended as mulch for the garden. Rescued from someone's renovations. It was initially very neglected and unhappy. It has amazing blossom, but the apples are small and green (a bit like a granny-smith but crisper and a little sour). There does not appear to be any graft consequently I've concluded this is a seedling - so I'm keeping it as it might just be unique (and the apples are interesting). The tree has been prunned back exceptionally hard to alter the old form (it was shaped with horizontal branches whilst I want vase shape). I am hoping that in spring it will put on additional height. I know it is self fertile as it had apparently fruited before with no other know apples in the suburb it came from. Is there an easy way to find out what type of apple this might be? I'm not really sure where this came from (it traveled between rental properties as a friend's mascot), or even if it is a tahitian lime! Unfortunately it never set fruit prior to 2010 and I've not yet had a fruit reach picking stage. This could be because it has been dug up and re-planted roughly every 6 months until now. I've piled about 100 litres of sheep poo around it - I'm hoping this will leach into the soil and improve things a bit ... there are some flower buds so maybe the poo is doing the trick! This plant suffered badly summer with only a small amount of watering - many of the branches were burnt off. I've sinced discovered that WA citrus need approximately 6 litres of water per day per square metre of canopy and the orange has responded very well to an almost 7-fold increase in water! There are now many new shoots. I've also errected a screen of cardboard boxes around the plant to provide additional shade. Ugly - but it is working. Hopefully next summer the Jujube will provide some additional shade! Plant was 'transplanted' in June 2011. I dug the plant up, removed the pale WA sand and replaced with a better quality soil, and re-planted the tree. It seems to have coped with the ordeal OK.
Jan 2012 - it is hard to imagine this is the same plant that struggled last summer. A bit more food and water and it is growing like a champ and covered in fruit. No cardboard this year - just sugarcane mulch. May 2012 - already more fruit than I can eat, thankfully friends at work are happy to consume the extra limes. Water and food clearly appreciated! Rescued from a throw-out these plants were very root-bound and dehydrated for about 4 years before being released into the ground in 2009. They have responded well to freedom and as of October 2010 are covered in flowers. 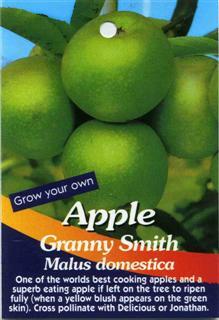 In 2010 I was surprised to discover that these Bunnings seedlings do set the occasional fruit (albeit a bit bland). I'm hoping that the fruit improves a bit this year. Irrespective they purpose of these plants is to provide a hedge so the occasional edible fruit is just a bonus! 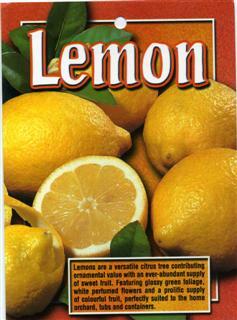 That said, a named variety might be nice - especially if more fruit were provided (and tastier fruit). I could also practice grafting by taking cuttings to the original plants. 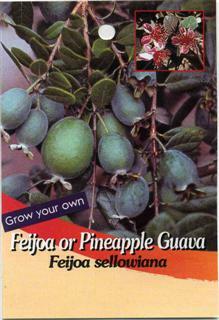 I might remove / relocate strawberry guava and put in named feijoa. Jan 2012 - no fruit this year - but I intend to add some more feijoa to complete the hedge come autumn. They are a tough plant with interesting folige and stunning (tasty) flowers. May 2012 - an additional 6 tiny seedlings purchased to complete the hedge. 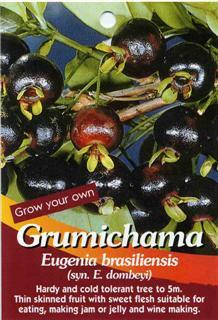 The existing plants have produced a reasonable crop of somewhat grainy bubble-gum fruit. It makes good sorbet. leavs are emerging late September. There are not many flowers - this could be due to Perth storm pruning, or insufficient chill, but a few fruit have set (obviously not enough ... one can never have too many apricots!) I always knew apricots would be a challenge in Perth! Jan 2012 - yummy, yummy, yummy ... fresh apricots are so delicious. The is no danger of an apricot crop in Perth breaking the branches of the tree, but a dozen fruit per tree is a nice treat, and so much more flavour than in the shops. Four little plants from Bunnings, planted quite close together (just over 1m apart as I'm hoping to create a dense hedge) in 2010. I've loaded them with compost and some blood & bone. Hopefully the soil improvements will be enough - but the soil is very poor and likely to stunt their growth (hence planting them so close)! They really don't appear to enjoy large amounts of WA sun (they will be blasted in summer) so I'm hoping they can make it. 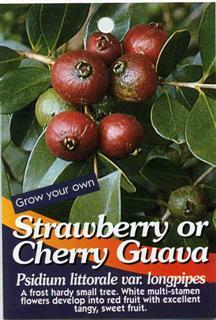 I've recently tasted a few strawberry guavas in my grandfather's yard in Melbourne. Delicious ... I hope that in time mine are as tasty! I'm actually not thrilled with these guys. They all have the yellow guava instead of the pink, and they are getting hit by disease quite hard. They might end up being relocated (and replaced with a known feijoa) or 'donated'. Not a bad looking plant ... but just not the flavour I wanted. Jan 2012 - tough as old boots, fruit well ... but boring. my tree is planted under a white shahtoot mulberry and gets some shade in summer and grows very well. Fruits a lot but can get attacked by fruitfly. 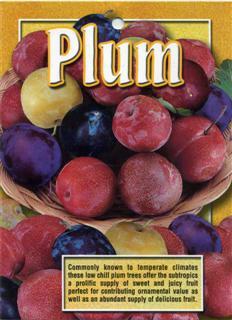 Fruits produced in colder weather are very sweet and juicy and has much better flavour than those produced in summer. It was on a Bunnings throw-out table and I couldn't resist! I stuck it straight into the ground and have poured my washing-machine run-off onto it. I've never had a plant thrive so much! It started at 20cm high and about 30cm wide ... in 4 months it was 1.5m high, about 2m wide and covered in fruit and flowers. I have hacked it back to about 80cm tall to encourage bushyness and a bit of strength (it was weedy). Nothing seems to worry it! Unfortunately I've only tried the fruit 'unripe' ... I think it has potential but might need to leave it on the plant longer! Plant appears to retain its leaves and flower year-round on about half the branches, but looses leaves on the other half! It is looking very lush with minimal water in the middle of summer. I don't think the fruit tastes the best - but these plants are tough, and can survive mistreatment in very poor WA soil and harsh WA sun. Next time, I'm investing in a non-seedling to get the superior fruit, but the plants are fantastic (even if the fruit is very seedy and not that exciting in the taste department). They are only watered every few weeks and are in the worst possible location - tough as old boots. Article on grafting these babies http://www.cloudforest.com/cafe/forum/67332.html top work and you will get good fruit quicker. Thanks for the link ... I'm wondering if I should try grafting a 'wonderful' and getting slightly better fruit. 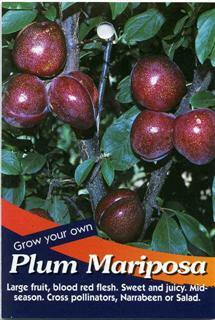 Planted in a raised bed and pruned to a standard shape the tree seems to be coping with WA soils and summers. It is flowering like crazy and I am pinching the flowers off because it is very young - but clearly very keen to grow and fruit. The leaves are going yellow - so I have tried epsom salts to provide extra magnesium. I've also added some trace elements (including iron). It is healthy but it just doesn't seem happy or as bushy as the orange tree. Additional water is helping. I re-dug the plant, replaced the local soil and replanted to provide better nutrition. This has helped, but the tree almost looks as if it is being attached by something as som tips are dying and leaves appear to be trying to grow back ... but no inspection has revealed any pest. It has only grown 50cm since planting. I tried this tree as well and it was stunted so I gave up after 3 years and turned it into mulch! Planted in a raised bed and pruned as a standard the older leaves often look a little dull, I've piled poo around it and added specialised fertiliser ... but it just seems a bit lack-luster. Hopefully it will soon obtain the zest for life. It is flowering - but doesn't seem to put on loads of lush new growth. This plant suffered in summer with only a small amount of watering. I've sinced discovered that WA citrus need approximately 6 litres of water per day per square metre of canopy and the orange has responded very well to an almost 7-fold increase in water! It is still very prone to disease and struggles after a few hot days, but it is going to make it. In June 2011 I transplanted this tree into better soil. So far the transplant has gone well with no apparent stress. It hasn't flowered that much in the summer of 2012 - lot of green leaves. Come autumn I think I'll re-improve the soil (pig poo?) I've mulched with sweet straw. Its leaves have lost a lot of their green so I have added some trace elements (iron and zinc) and new growth appears to be greener. Within weeks new leaves are emerging with the standard red/copper colour which I hope indicates that whatever was missing is back! 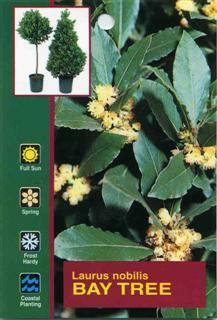 Now a few months later it has grown about 50cm and is a solid little shrub. 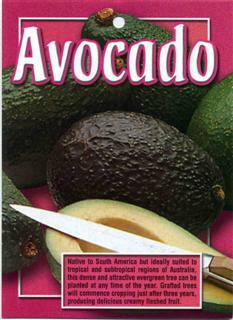 The outside leaves get scorched on hot days and the plant will drop older leaves if it has water stress (must remember to water a bit more often) but nutrients and water are resulting in a tough little avocado. In August 2011 it is flowering like crazy (the leaves are going brown again and being replaced by new leaves - it doesn't look the best but the plant seems happy). By October 2011 the tree has lost all its old leaves and is covered in rich lush new growth. This tree still struggles with hot summer days - but extra mulch, and water help. I don't think any fruit set - but it continues to put on volumn and looks healthy. purchased as a pot-bound throw-out from Bunnings I have teased out its roots and provided much compost. It is low chill so has lost its leaves. I am hoping that Spring will reveal a happier plant. It is going to need to cope with some fierce WA sun in its current location. I needed something tough to survive the location (full Perth summer sun against a reflective metal fence) that would 'match' the other plums I have. Blossom commenced late August, early September 2010. It only really seems to have taken off late October - maybe next year it will feel more at home. Plant is still not thriving. Leaves removed June 2011. I'm not sure why it isn't very happy ... it is just taking a long time to feel thoroughly at home. Jan 2012 - This is NOT an amber gold ... the fruit (half a dozen) are very large (circumference 20cm), heart shaped, green-red on the outside, pink on the inside and SUBLIME. Clearly the wrong lable - but delicious. 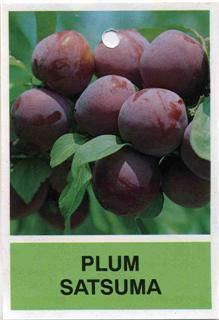 Not another blood plum either (as I've got these and this fruit is different). The plant took awhile to establish, but is growing well now. Clearly requires more chill than offered by Perth ... but just divine. This plant is designed to screen the fence (between my orange and lemon) and hopefully provide me with some tasty table grapes. It is supported by some special purpose wires spaced about 40cm apart (against the fence). When it was first planted (early 2010) it was just a stick, but it is already covering the fence quicker than I had hoped. It is quite a bushy plant and I imagine I'll need to give it a decent prune to ensure good shape for years to come. There are even baby grapes on it already (October 2010)! 2011-2012 has been a bad year for grapes - a late rain split the entire crop and there seems to be a 'disease' attacking the plant (leaves go yellow and fall off). But the plant is growing very fast. A second flowering resulted in a few more bunches that were split by rains just after Christmas! Mine grows very well and fruited last year. 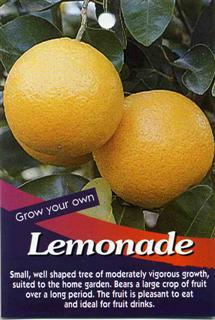 The flavour was not that great compared with crimson seedless and saltana, both of which also produce very well in my garden in Perth. The thomuscat is supposed to be a white, seedless grape which is a cross between a sultana and white muscat, but with a strong muscat flavour (yummy ... I hope). 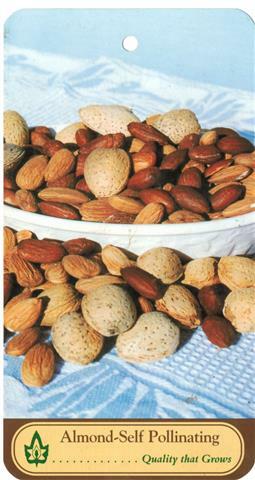 It is supposed to mature early to mid-season. 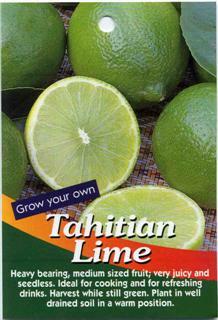 I planted it to screen the fence between my lime and orange. It appears to be more interested in growing up rather than out (which is fine). It was just a little stick when I planted it in early 2010. It is planted so that it is near a limestone retaining wall - which seems to keep it happy despite my attempts to acidify the soil in the bed (as there is a lime tree about 1.5 metres from the grape). In Jan 2012 I pruned it once again to keep it low (now about 75cm). It is becoming very bushy. Initially a house mascot after it was discovered on a Bunning's throw-out table and used as a Christmas Tree we were all surprised that the plant survived. It is now in the ground and seems to be establishing itself in the poor WA soil. I provide it with a minor prune when it starts to look like it is getting taller than desired for its location (or I need leaves for cooking). It is very slow growing. I never water it (even in the worst of summer). I never improve the soil ... it is just there and like a wonderful herb keeps on trucking. Sage lives under it and seems to be quite happy too. Still very young. 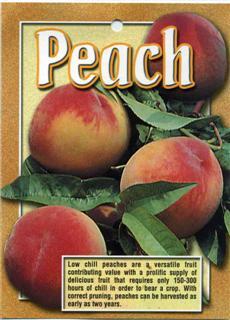 I am hoping I will get some fruit set eventually; despite the warm winters in Perth. Leaves are removed by hand throughout July to encourage the impact of chill hours. Plant broke dormancy late October. There are a few flowers, but not many. I have removed all the leaves in June 2011. Hopefully there will be fruit next year. Leaves removed in June 2011. Hopefully there will be sufficient chill for fruit. In March 2011 I removed between 1-3kg of fruit off each tree. The sun had burned some apples, but they were quite tasty. I can see these guys eliminating my need for supermarket apples in a few years. I've got a few little flowers now in October, loads more emerged late October 2010. As of Jan 2011 I've removed most of the fruit, but there is still about a dozen left per plant. Some burns, splitting and other imperfections ruined about 15% of the apples - but the remainder were very sweet! Growing quite happily. I am limiting the amount of fruit allowed to set, but the fruit is quite tasty! 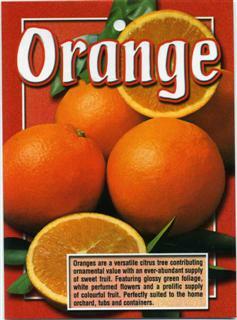 The time fruit sets does not seem to match when it is cheapest in the shops. Flowers and leaves emerged late October 2010. As of Jan 2011 Some of the fruit is already the size of a tennis ball ... I imagine they will be huge when mature! Alas, the neighbourhood kids nicked this apple - so I never got to try it. Apples were tart and tasty. Very little damage from burning or splitting. The plants flower constantly (still flowering in June). Leaves were removed in June 2011 to encourage dormancy.